This is an earlier version of an article I wrote which was published in Tournaments Illuminated Issue 202, Second Quarter 2017 p.35-36. Serve It Forth, edited by Mistress Elaina de Sinistre, was a newsletter for those interested in culinary arts in the SCA, which ran until 2005. 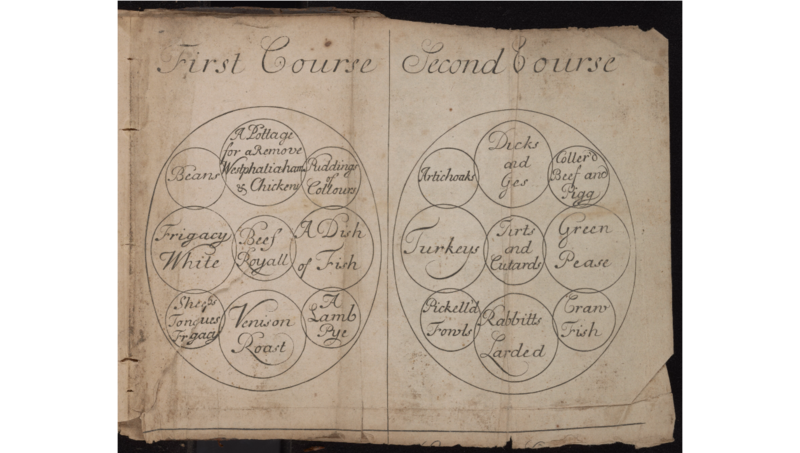 In the April, 1996 issue, Dame Alys Katharine (Elise Fleming) first published “Of Course, It’s ‘Course’!” explaining that pre 1650 the word remove was not used to mean course in any English language culinary context. The article since has been updated, and is available here. However, in the SCA, remove frequently continues to stand in for course, and so here is more information on the history of these terms.